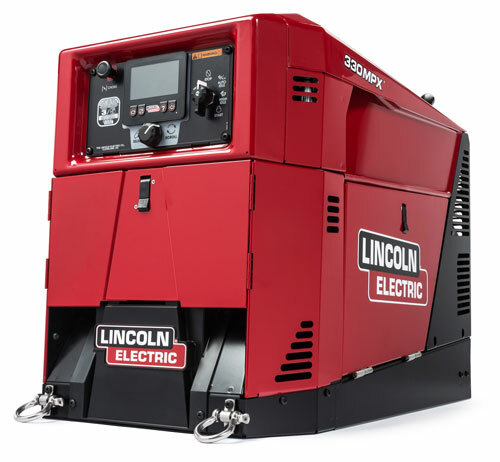 New from Lincoln Electric, the Ranger 330MPX gas-engine-driven welder and generator, reportedly offering more power in a smaller and quieter package than other machines in its class. The combination of a smaller footprint, quieter operation and clean AC-generator power enable users to operate various tools and technologies in field applications such as construction, maintenance and repair, pipeline and more. Simple to transport due to its compact size and new competitor-compatible bolt pattern, the welder/generator boasts a 20-percent-smaller footprint, and is 25-percent lighter and 31-percent smaller in volume than other same-class machines, according to company officials. Also, it’s reportedly as much as 60-percent quieter than comparable models. Ranger 330MPX advanced features include Lincoln Electric’s CrossLinc remote control, ArcFX visual setting feedback and Ready.Set.Weld quick-setup guide—the company’s first engine-driven welder from Lincoln Electric to incorporate these technologies. As a generator, the unit produces clean AC-generator power that allows the operators to use power tools, laptops and other personal tech., as well as appliances sensitive to current fluctuations.